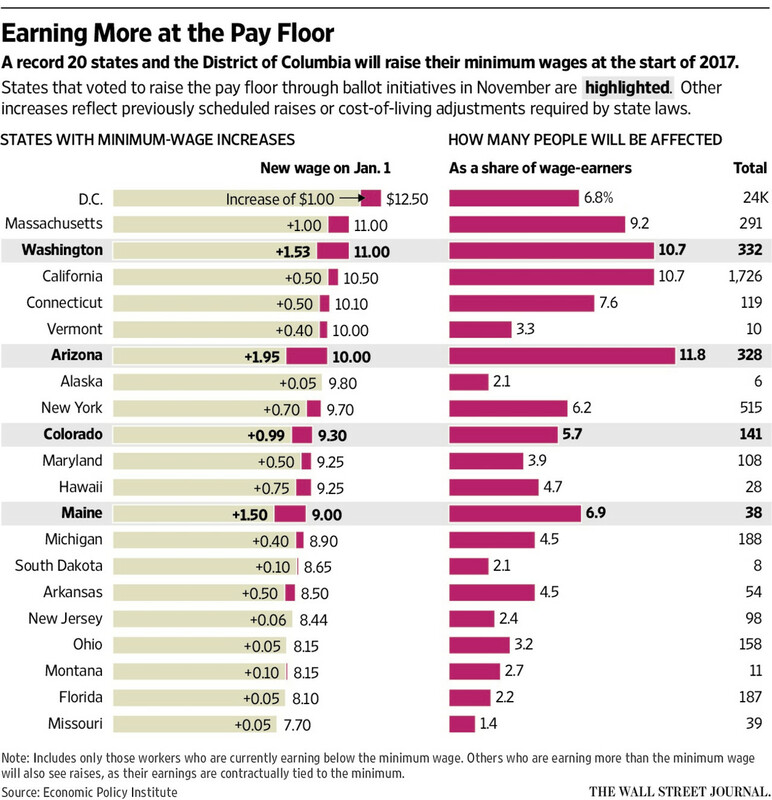 On January 1st, the minimum wage is set to increase for millions of workers across 19 states. While the federal minimum wage isn’t changing, states, counties and cities across the country have implemented their own minimum wage rates. The changes will impact workers in Alaska, Arizona, Colorado, Florida, Maine, Missouri, Montana, New Jersey, South Dakota, Connecticut, Hawaii, Michigan and Vermont. Later this year, increases will also take effect in Oregon, Washington, DC, and Maryland. Cities like Oakland, San Jose, and Seattle are also enacting their own minimum wage increases.